Taking a look around the market for the freshest ingredient of the day can be such a cooking inspiration! It’s a wonderful feeling of freedom to let your culinary creativity roam when there is no shopping list in your hands. Octopus was incredibly fresh at the market this weekend, so it promptly came home with me in my grocery bag and is the main ingredient of this salad. 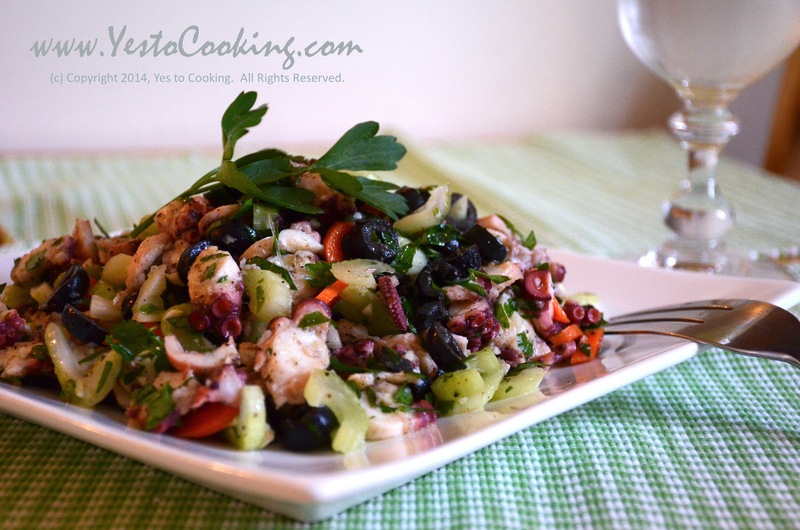 This octopus salad recipe traces back to Puglia, a region of Southern Italy, that borders the Adriatic and Ioanian Sea. Due to the region’s proximity to the water, seafood plays an important role in Puglian cuisine. 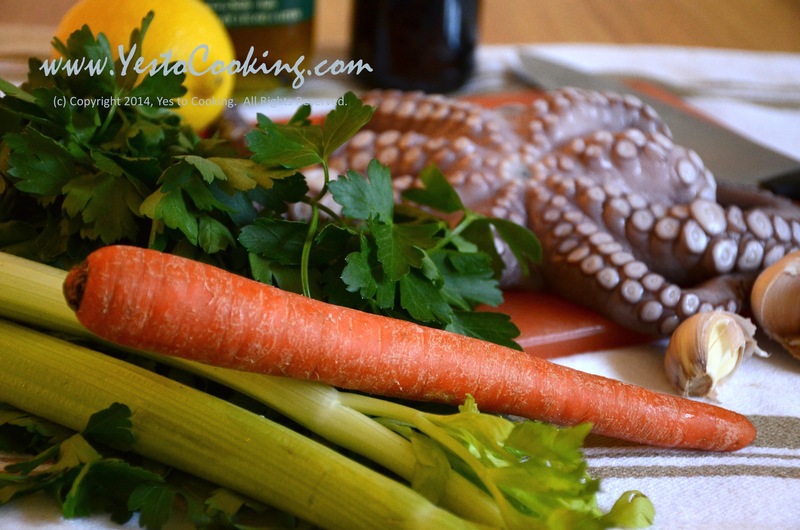 This time, octopus is paired with carrot, celery, and parsley for a gorgeous color contrast and fresh crunchiness. 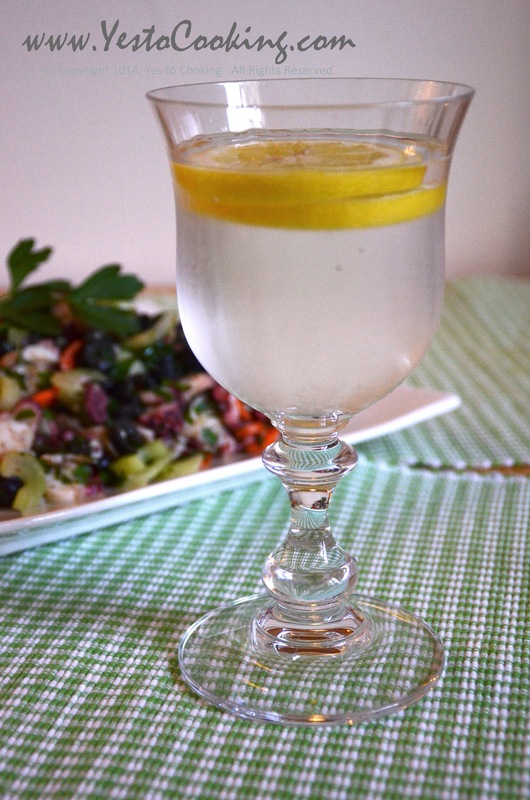 A light dressing of olive oil and lemon juice makes this a fun, light summer salad to bring to picnics or potlucks. 1) Bring a large pot of water to a simmer. Add octopus and cover. 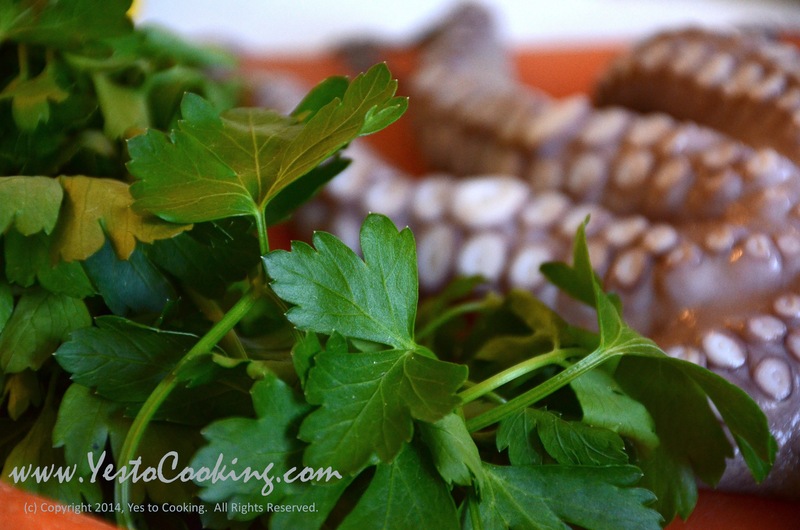 Let octopus simmer for 40-60 minutes or until tender. 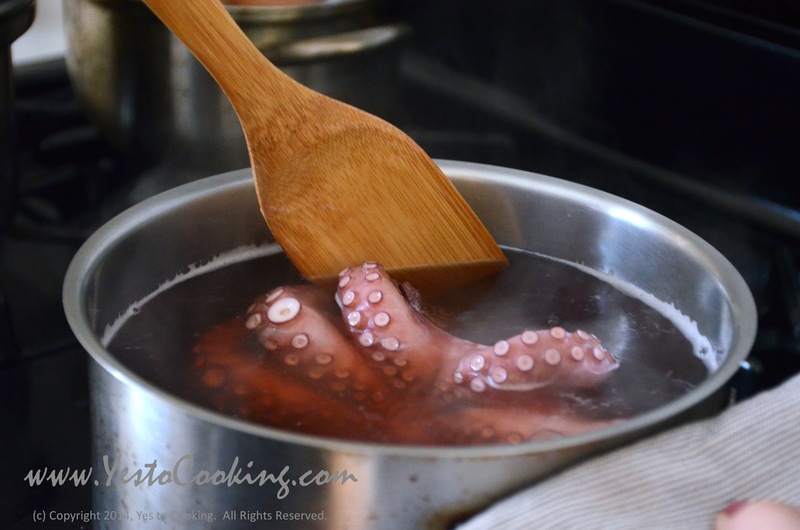 2) Remove octopus from pot and rinse well under cold water. 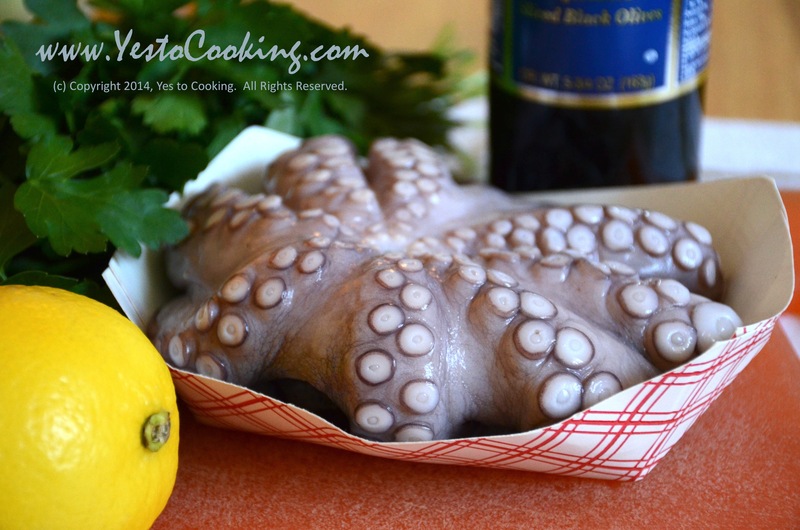 Remove slippery outer layer with hands until left with the purple/pinkish octopus meat. 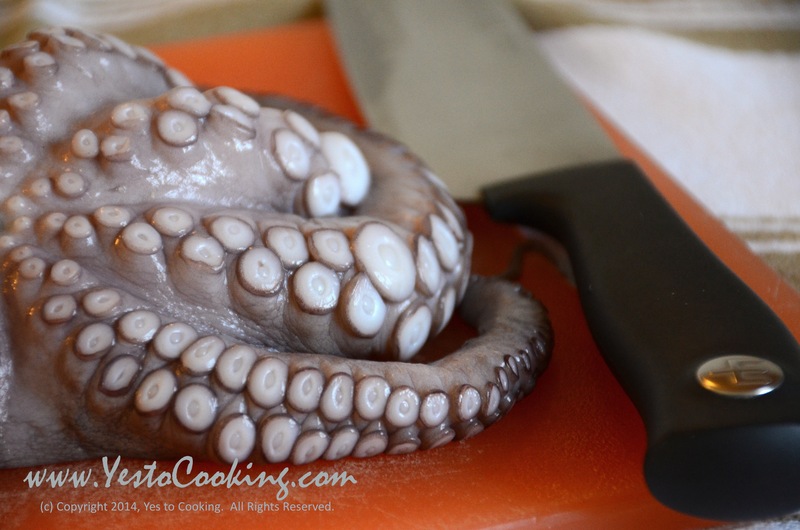 3) Cut entire octopus into 1 cm slices. Place in a medium sized tossing bowl. 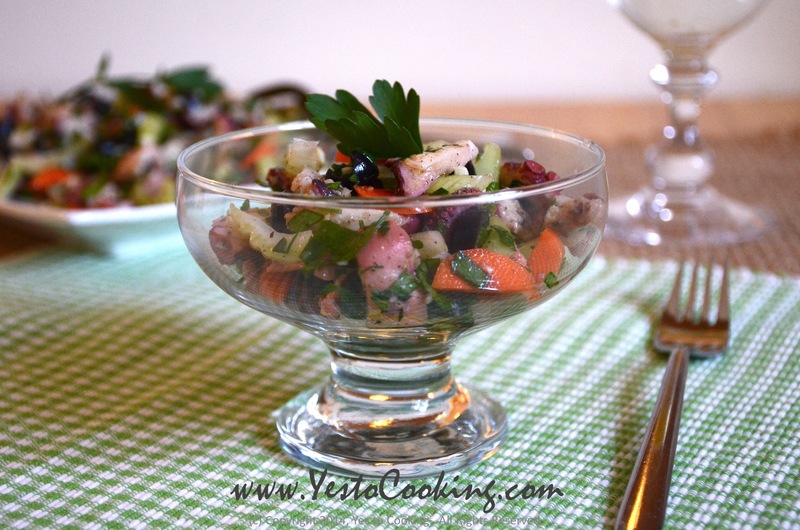 4) Add finely chopped parsely, carrots, celery, and olives. Toss with lemon juice and olive oil until all ingredients are well coated. Season with salt and black pepper. 5) Cover and set aside for 30 minutes in the fridge. Serve chilled. 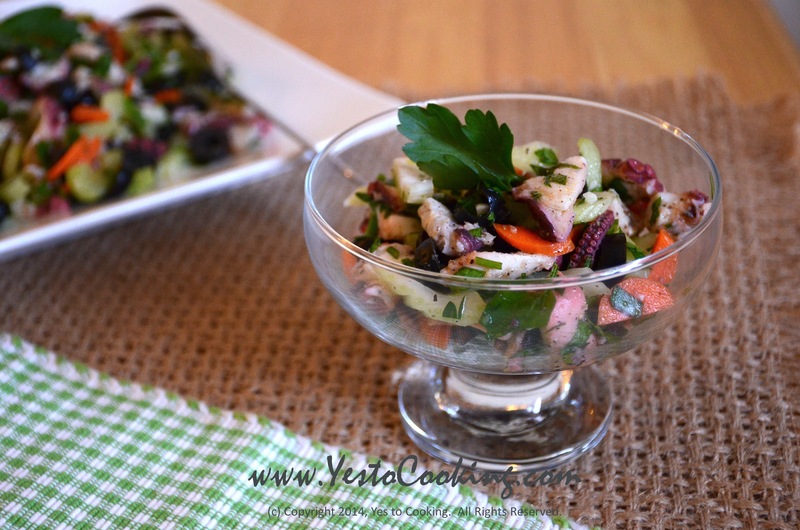 Setting aside the salad in the fridge allows the flavors to develop, and ensures that the octopus absorbs the dressing. 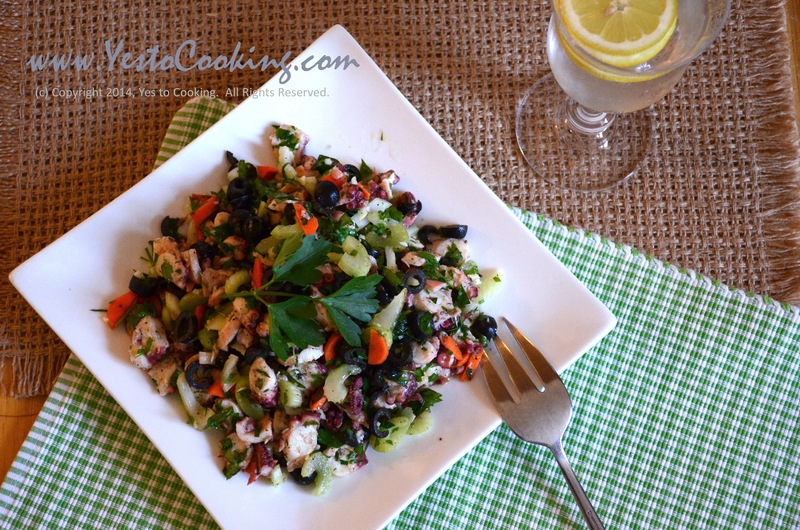 Tags: antipasto octopus, cold summer salad, cooking, Italian Puglia octopus salad, octopus salad, recipes to prepare the day before serving, summer potluck picnic dishes, summer recipes. Bookmark the permalink. your salad looks adorable and fancy plated!!! It’s summer time here in New York City, which is why I thought this would be a little refreshing. Spicy stew sounds delicious for colder weather, and I will definitely experiment with that! © Copyright 2012-2018, Yes to Cooking. All rights reserved. The material on this site may not be reproduced, distributed, transmitted, cached or otherwise used, except with the prior written permission of Yes to Cooking.